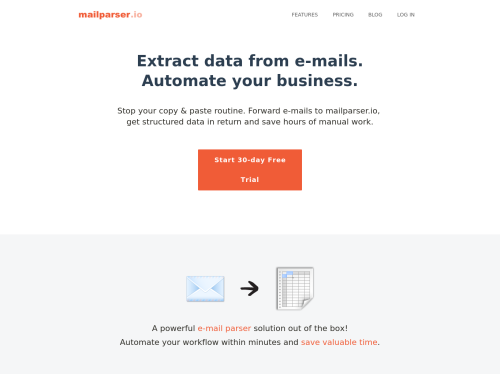 mailparser.io is a web-based email processing software which allows you to pull any kind of data from incoming e-mails. You can easily define parsing rules which will extract text fields from the e-mail body, the subject, the sender information or even from attached files. The parsed data is available for download or you can send it over to other web applications or custom scripts with webhooks.